The 2018 Baton Rouge Blues Festival (April 14–15, 2018) is accepting new applicants for art, food and general vendors. The deadline to apply is February 28, 2018. Vendors will be accepted on a first come, first serve basis and at the discretion of the Blues Fest Committee. All proceeds go to the Baton Rouge Blues Foundation, the nonprofit organization that produces the festival, and help to continue the event from year to year. 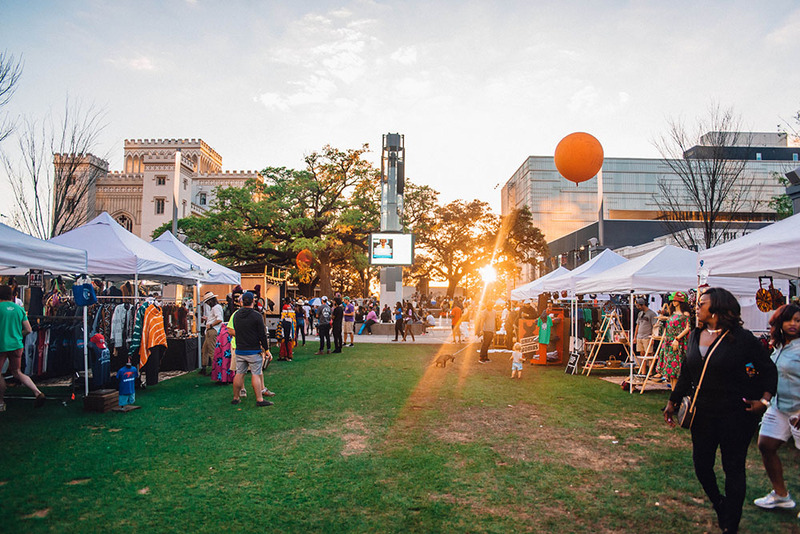 This year’s art market will be hosted by Mid-City Makers Market. The Blues Fest Makers Village will allow the festival to continue to provide a quality retail experience at the festival while building on the tremendous success seen in Mid-City Makers Market’s past year. Participating vendors will be announced via the Baton Rouge Blues Festival website, batonrougebluesfestival.org. Click the links below to read more about each vendor and submit your application. The deadline to apply is February, 28, 2018. Free and open to the public, the 2018 Baton Rouge Blues Festival will be held on April 14–15 in downtown Baton Rouge from 12 to 10 p.m. Originating in 1981, the Baton Rouge Blues Festival is one of the oldest free blues festivals in America. Produced by the Baton Rouge Blues Foundation, the festival is made possible in part by the Foundation's board of directors, a volunteer Blues Festival committee, local support and generous partners. In order to keep the festival free, we appreciate your cooperation in supporting our vendors and not bringing any outside food or drink. All revenue generated from the festival goes toward the mission of the Blues Foundation to help continue its goal to promote, preserve and celebrate the Swamp Blues music native to Baton Rouge, Louisiana. Follow the festival on Twitter at @brbluesfest, on Facebook at facebook.com/brbluesfest or online at batonrougebluesfestival.org for the most up-to-date information.